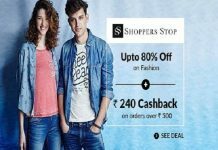 Amazon.in India’s largest e-commerce website keeps coming up with offers especially during festival season. 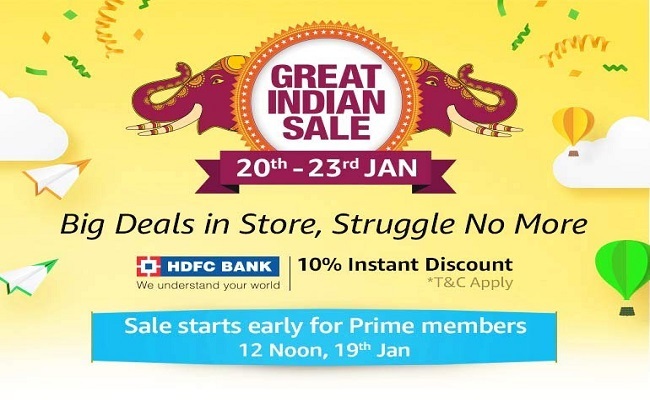 Amazon back with Amazon Great Indian Sale from 20th-23rd Jan 2019. 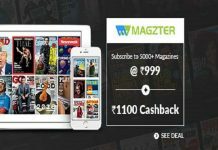 Stay tuned with us for more updates on Amazon Great Indian Sale. 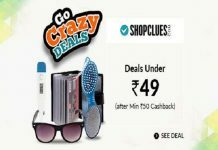 Amazon Great Indian Sale at Amazon.in presents a wide range of products and items like Electronics, Home & Furnishing, Beauty Products, Clothing, Accessories for both Men and Women, Healthcare Products and a whole lot of other items at lightening deals, just for you. Live from 20th Jan to 23rd Jan 2019 for 4 Days. Nice offer.. Thanks for posting..